Ernest Hemingway was one of the most controversial and admired writers of his time. This biography covers his life from his childhood in Oak Park, Illinois, to his suicide in 1961. It offers a sympathetic portrait of a brilliant artist and a complex individual—a private man who led a very public life. Hemingway’s formal education ended after high school when the ambitious young writer went off to work for The Kansas City Star. Eager to see the war, he volunteered for ambulance corps duty in Italy during World War I. Some of his most exciting and productive years were spent in postwar Paris, living among a group of writers and artists from around the world. 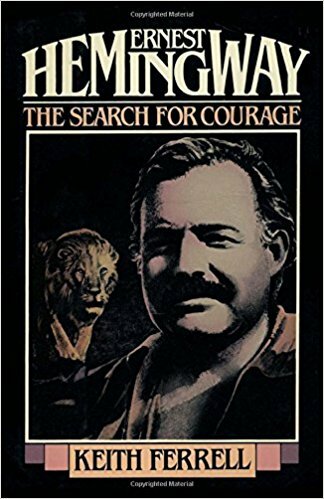 In the 1930s Hemingway became as famous for his personality as for his writing, and he spent more of his time hunting and fishing competitively. But when war broke out in his beloved Spain, he went to serve as a correspondent on the loyalist side. In 1940 his novel For Whom the Bell Tolls, based on his wartime experiences, was published to critical acclaim and financial success. World War II found Hemingway working as a correspondent once again, and prone to fighting and drinking. Despite this decline, he wrote The Old Man and the Sea, which celebrated the courage of an aged Cuban fisherman, and went on to win the Nobel Prize for literature in 1954. Keith Ferrell conveys the scope of Hemingway’s achievement as a writer and gives a vivid portrait of one of America’s finest authors.